The good thing about being off of work for a few days is that I can post things as they occur rather than waiting until I have a spare minute. 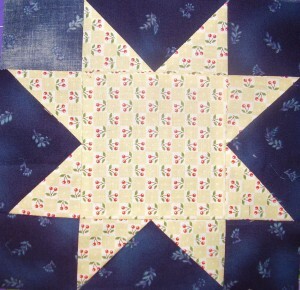 Mom made this star for the San Bruno quilt this week and I think it will go very well with the others. All star blocks are welcome! Remember to sign your block! Contact us through our blogs for mailing instructions. Thanks so much for your generosity!